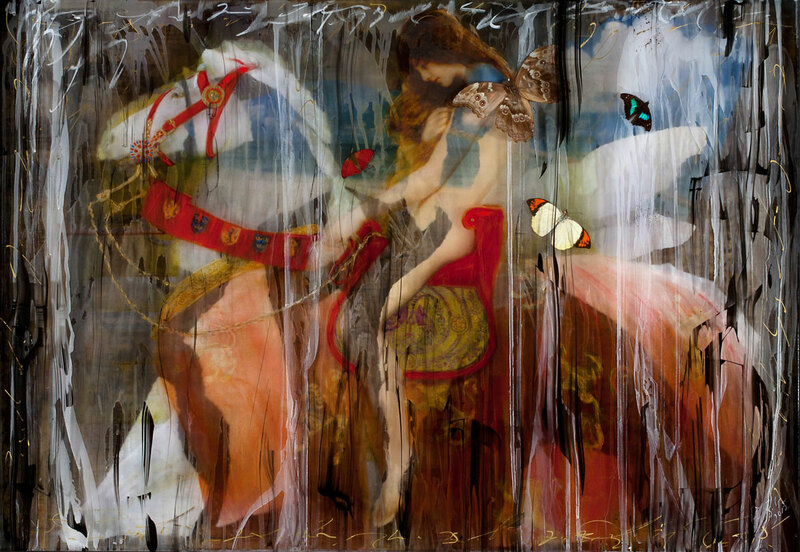 Ingrid Dee Magidson is pleased to announce the representation of her work in the prestigious Bel-Air Fine Art Worldwide galleries. With 14 galleries in important art centers and resorts such as Paris, Geneva, St. Tropez, Gstaad, Abu Dhabi, and Dubai, Bel-Air Fine Art has firmly solidified its importance in the art world. I can’t tell you how excited and honored I am to have my work being shown by such important art galleries: Gstaad, Europe, the Middle East; I’m overwhelmed! Bel-Air Fine Art Worldwide founded in 2004 by Francois Chambanian, opened its first gallery in Geneva, Switzerland then continued outwards to galleries in Europe and into the Middle East. The 14 galleries exhibit contemporary masters as well as the most exciting cutting edge work being seen today; always with a flare for the most unique and outstanding artwork in the world. When one walks into a Bel-Air gallery, one walks into the future of art. The Return of Pegasus is permanently installed in the lobby of The Alpina Gstaad Hotel. Ingrid’s work is currently showing in the Bel-Air Gstaad Gallery, located in the Gstaadplatz, promenade 25-27, open 10am – 7pm (winter season), www.belairfineart.com for more information. This entry was posted in Bel-Air Fine Art Worldwide, Dubai, Francois Chambanian, Geneva, gstaad, Ingrid Dee Magidson, Switzerland and tagged art dubai, Bel-Air Fine Art, gstaad, switzerland, The Alpina Gstaad. Bookmark the permalink.